Tart--Teaching Art with Attitude: It has been awhile. . .
Clay in a Day is my favorite!! 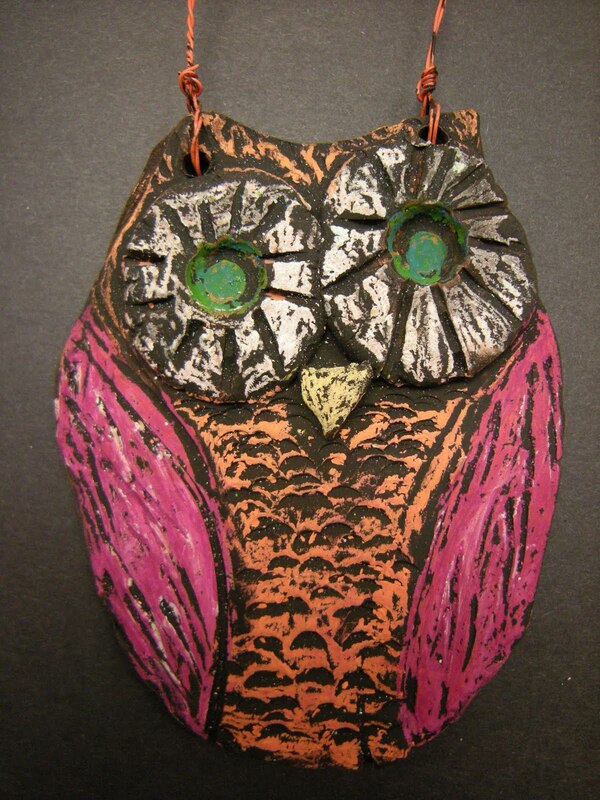 These adorable owls were made from terra cotta. The magic happens when students color with oil pastels, then we give them a bath in watered down black tempera paint. Next students carry them (in a paper towel) to me at the sink while we rinse and like magic the color appears. Great lesson to teach the concept of contrast. They all turned out this amazing. Great project where everyone left happy and it was a HOOT! 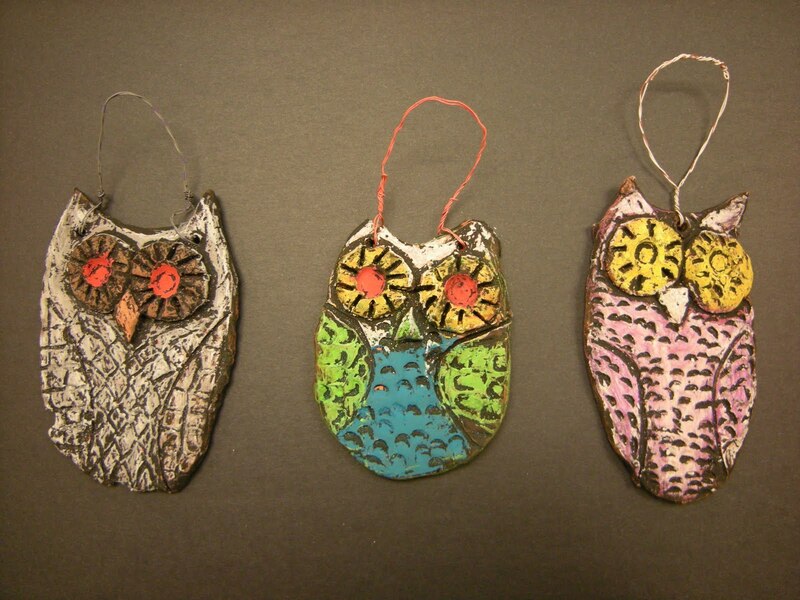 We did these after doing torn paper owls. You used "terracotta", for these owls, which are darling, by the way! What kind of terracotta? Air-dry clay or kiln fired? 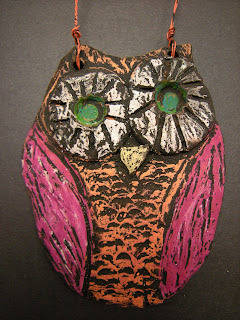 I've never used oil pastel on any clay. these were done with kiln fired Terra Cotta clay from A. R. T. But I think any type of kiln fired clay would work.